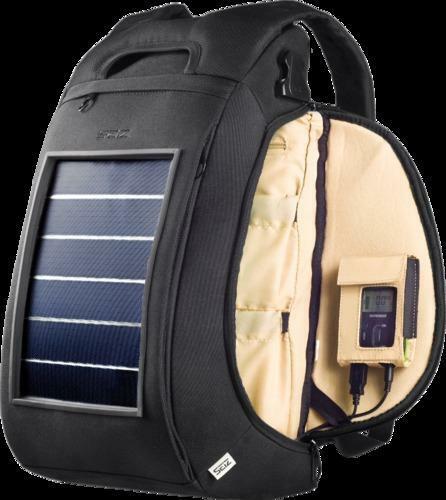 A light-weight, CIGS, thin-film flexible module is integrated with the backpack. This single module is then connected to a battery pack or straight to a mobile phone, iPod, MP3 player, etc. While the user travels on a two wheeler or walks during the day, this single module will charge these devices. Backpacks manufacturers, suppliers, exporters the leading company of a wide array of Backpack Bags. The products offered by backpack manufacturing companies To keep the customer fulfilled, we manufacture and supply fantastic Travel Backpacks which are delightfully printed that pull in our customers. Gave sacks are made of utilizing high review best material and contemporary innovation, keeping pace with current business sector patterns. Besides, our imaginative expert.These designer bags are fully designed according to the requirement of the clients. We, Sibia bags Manufacturers have done a lot of hard work for getting this position among the manufacturer in India.